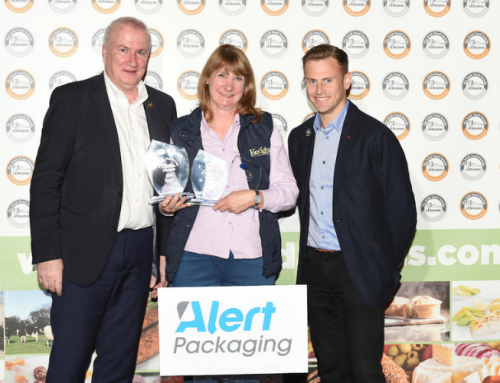 Under the motto ‘Meet the Best’, IFFA – The No. 1 for the meat industry and meat packaging– will open its doors in Frankfurt am Main from 4 to 9 May 2019. This time, with the inclusion of the new Hall 12, an optimised layout and more exhibition space. 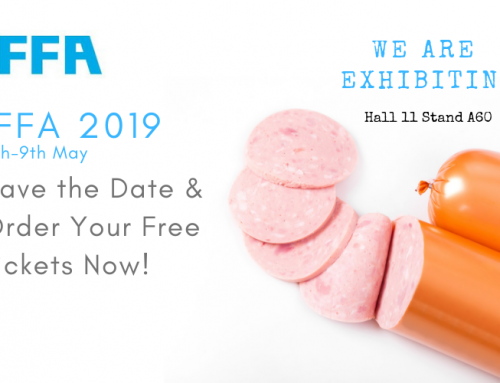 As the foremost innovation platform for the sector, IFFA sets tomorrow’s technological standards and presents the meat industry in its entirety, from manufacturing to high-tech. Global meat production is increasing. From the developing nations to the highly populous growth markets, meat and meat products form an important dietary staple with meat consumption rising between three and six percent a year. 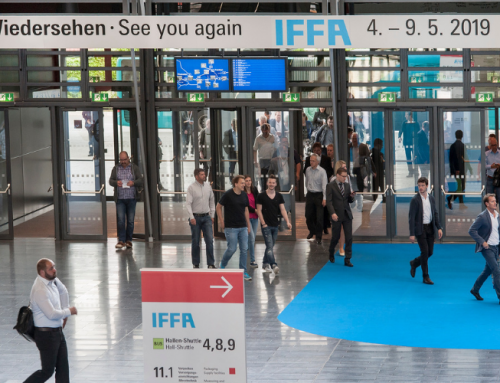 Against this background, the sector is looking forward to the coming IFFA 2019 with high expectations. Over 1,000 companies have already registered, many of them market leaders from home and abroad. On around 120,000 square metres of exhibition space – eight percent more than at the last edition of the fair – manufacturers present innovative technologies, trends and future-oriented solutions for all stages of the meat-processing chain, from slaughtering and dismembering, via processing and refining, to packaging and sales. 60,000 visitors from 140 countries attended the last IFFA, which is held every three years and reflects the sector’s innovation cycle. IFFA, the undisputed leader of the meat industry and magnet for the sector, will be concentrated for the first time in the western section of the Exhibition Centre. The new Hall 12, which offers some 33,600 square metres of ultra-modern exhibition space on two levels, enables IFFA to expand and, therefore, to increase the synergistic effects between the visitor and exhibitor sides. Another advantage of the new layout: it results in a compact circular arrangement linking Halls 8, 9, 11 and 12 – giving short walking distances and a quick overview of the whole spectrum covered by the fair. 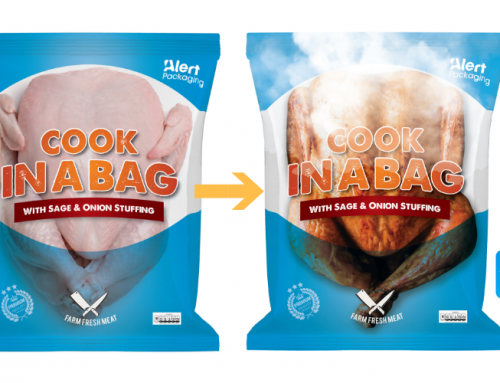 The exhibitors and products are clearly arranged along the main process stages of the meat industry. IFFA is where the sector discusses future-oriented subjects. 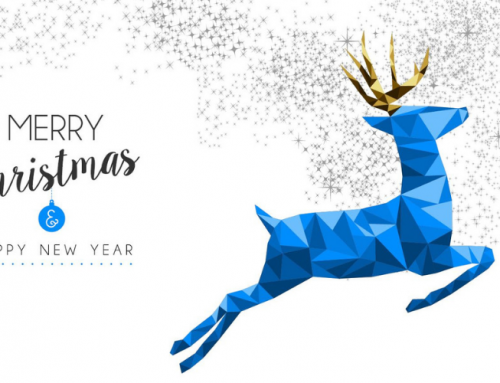 In 2019, the focus of the programme and the exchange of expert opinion will be on the top themes of ‘optimised production’, ‘resource efficiency’, ‘food safety’, ‘digital solutions’, ‘food trends’ and ‘increasing efficiency’. In addition to the product innovations shown by exhibitors, IFFA offers a multi-faceted complementary programme of events revolving around topical developments in the sector. Expert lectures with best-practice examples, special shows, competitions and guided tours give visitors the chance to gather information, hold discussions and make new contacts. New in 2019 are guided tours of the fair in which experts take visitors to selected exhibitors and provide an overview of interesting innovations. 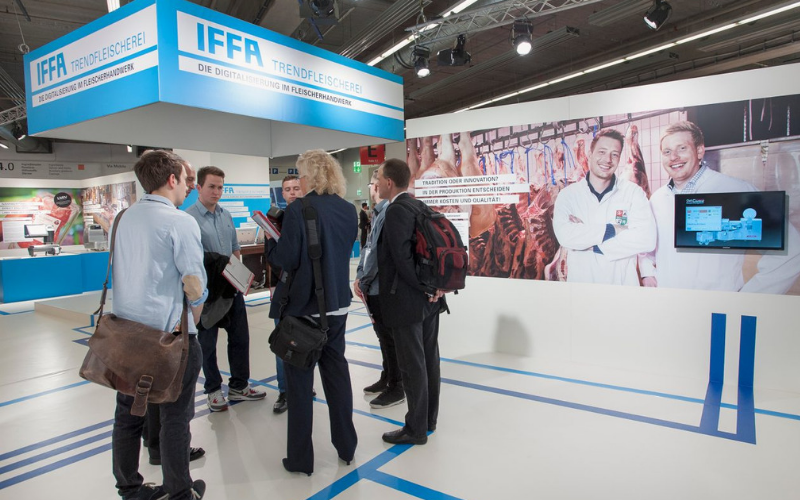 As in the past, the fair will be the setting for the international quality competitions of the German Butchers’ Association (Deutscher Fleischer-Verband – DFV), a highlight at every IFFA. Moreover, the ‘IFFA Forum’ will once again generate impulses relating to key topics from the fields of business, technology and development while the ‘IFFA Kitchen’ offers a live demonstration of a production line in operation.